Finally a new post! 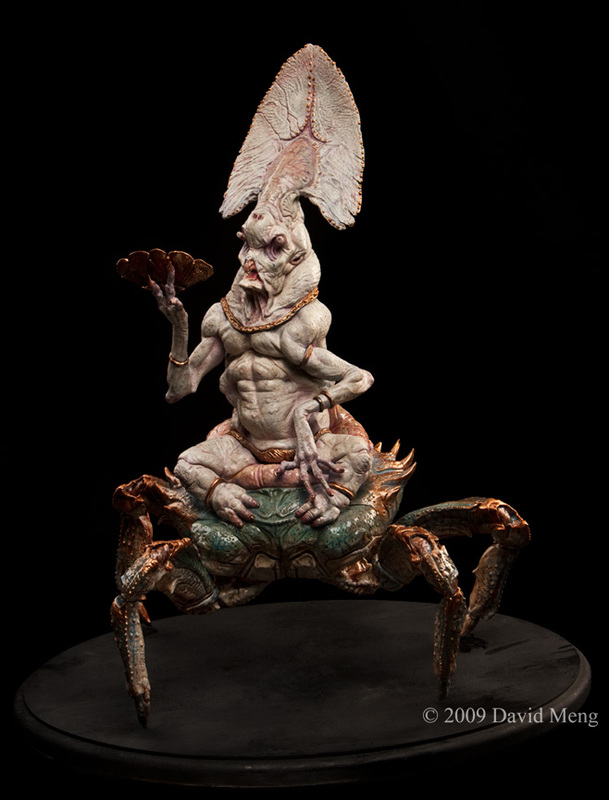 This was the last sculpture I finished, sometime at the end of last year, finally ready to show it. It is the Cellar God, a member of a pantheon of a billion gods that live in hearths, wells, bathhouses, kitchens, sheds, etc. 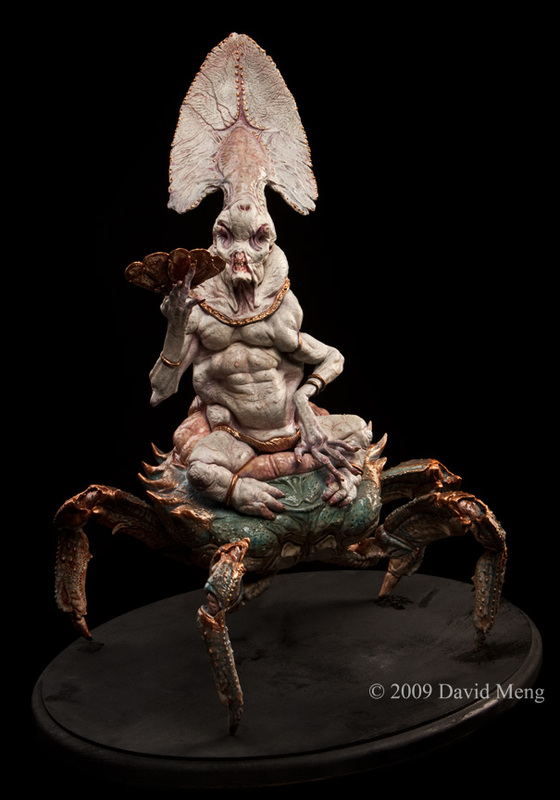 He rides an alchemical crab and listens to old jazz music. Did you use a real crab for the bottom half? Thanks a lot! 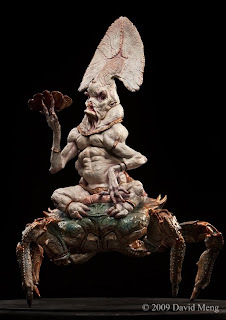 No, I didn't use a real crab, the whole thing is sculpted. Finally David!!! been such a long time dude! pretty freakin SICK concept! I love everything about it. Good work man! Super work on this !! Hey David , this is a very interesting sculpt..really like the effort gone into the sagging skin and the abdominal muscular is real cool...i met you with Gino about a week ago in cafeteria at Weta. Just stated new sculpt other day ..if you ever fancy meeting up for a chat about techniques and ideas let me know ...cant find your email ...mine is markmaher1@yahoo.co.uk . Really love this piece Dave! Brilliant as usual! 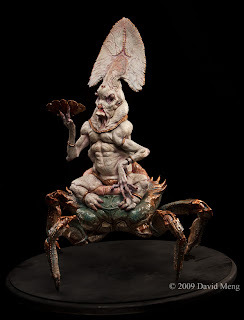 I am fan of your scluptures! been here many times but never thought to comment. Love your work, incredibly original. The detail in this guy is mindblowing! Pop!